On behalf of the sangha of the Clear Mountain Zen Center of Montclair, New Jersey, let me welcome you to our web site. We hope that you will find something of help and interest to your life's journey. I further hope that you will gain a sense of our practice and what we offer to the community of northern New Jersey. Our sangha includes a broad variety of individuals of many different talents, ages, experiences and backgrounds, but we all seek to preserve and honor the great Zen traditions developed over centuries and millenium in the lands of the East. We strive to present them in ways most relevant to our modern culture. While faithfully hewing to the pathways tread by our elders in Zen and respecting the rigors they prescribed, we seek to offer a place of peace, healing, community and reconciliation to all who might benefit from a quiet, disciplined and yet ultimately humanistic approach to daily life and the pursuit of awareness. 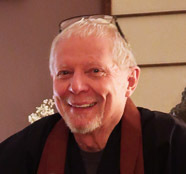 Under the guidence of the White Plum Asanga and our guilding teacher, Roshi Robert Jinsen Kennedy, we offer beginners instruction, weekly Zazen on Sunday mornings, weekday quiet time, and other ways of serving our community. Thank you for your attention, and we welcome your comments or your visit. © Clear Mountain Zen Center Design by Iron Spider Page session stats: 886 this month, and 1707 last month.